By the mid-1970s, it was clear that both the British submarine ballistic missiles and also the Resolution class submarines equipped with these weapons, were quickly becoming technically obsolete and would soon no longer be worthy competitors to the latest Soviet strategic nuclear weapons. The British military took a liking to the American Trident missiles, which proved to be impossible to equip on the Resolution-class vessels due to technical limitations. In 1980, the British government made a decision to design a brand new strategic cruise submarine. The Vanguard-class nuclear submarines were engineered to be equipped with the American Trident missiles. Their design was based on the previous-generation missile carriers from the Resolution series. Besides the new armament, the Vanguards were also fitted with the latest sonar systems and stealth features, as well as enhanced powertrains. 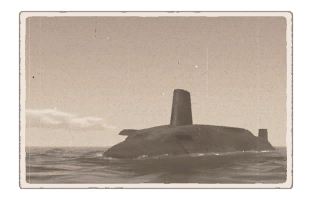 The British were planning on commissioning 6 or 7 Vanguard-class nuclear submarines, but the Cold War came to an end soon after, and so expanding the nuclear arsenal was no longer necessary for the UK. Currently, there are four Vanguard-class cruise missile submarines in service with the Royal Navy. They are the sole platform for the United Kingdom’s nuclear weapons. This page was last edited on 30 January 2019, at 05:36.